This is a stunning one-off pair of cufflinks. 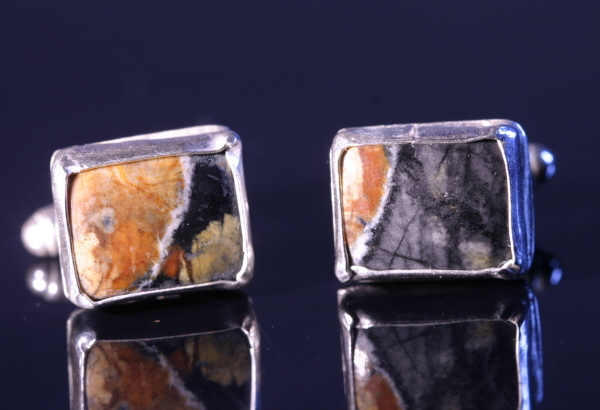 A pair of intriguingly cut and polished cabochons of Picture Jasper have been set in bespoke solid silver cufflink settings. The cabochons measure 1.4cm across and 1cm top to bottom. These cufflinks are boxed and labelled and would make a fantastic gift for the stylish man in your life.